Chief Environmental Officer in the Ministry of Health Yolanda Penn is trying to allay public fears about Robin Hood products that are imported into the Territory; this as some of the said products remain on the local shelves despite a recall. Penn said only products with certain batch numbers were tainted. “The ones that were pulled were potentially contaminated with E coli. But, like I said, we haven’t even found any of the products,” Penn told BVI News Online. E coli, which is short for Escherichia coli, is a type of bacteria that lives in the intestines of people and animals. It is also sometimes found on food. The health ministry had stated that the product recall “is due to findings by the Canadian Food Inspection Agency during its investigation into a food-borne illness associated with flour”. It added that “certain items may be contaminated with E coli 0121”. Persons should seek medical attention if they experience any of the aforementioned symptoms after they consume Robin Hood products. 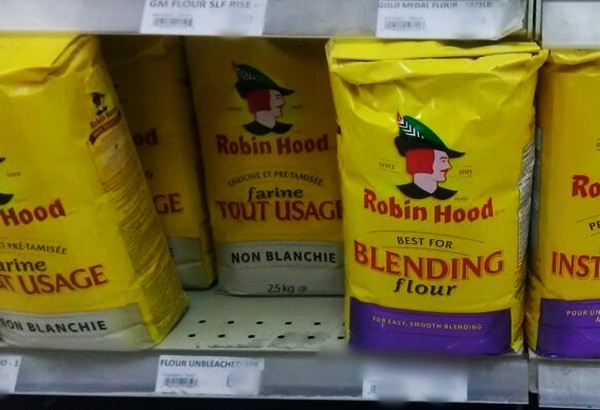 The following is a list of the products that were red-flagged: Creative Baker All Purpose Flour, Robin Hood Best for Blending Flour, Robin Hood All-Purpose Flour, and Robin Hood Bread and Roll Mix Home-style.